Any of you good folk possess or have access to a header modelling kit? 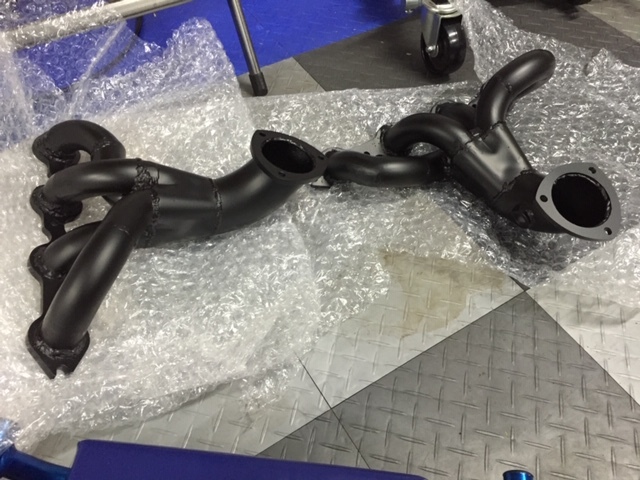 Am looking to book into a TIG welding course and my project will be to build some basic headers to connect up to my side pipes. 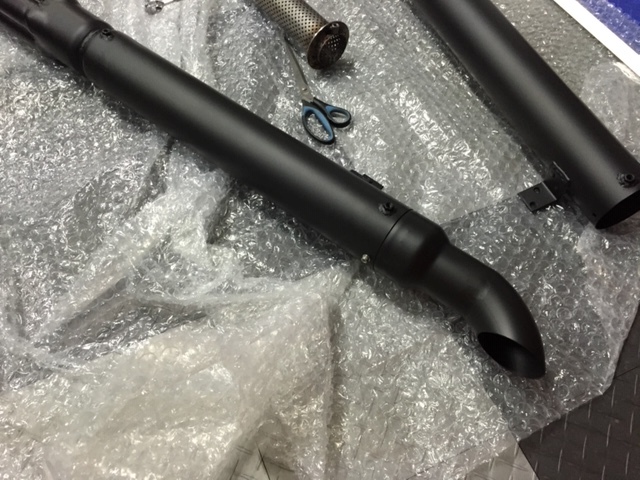 Ultimately I want to try fabricating my own stainless dummy side pipes. But for now practicing on a low risk alternate exhaust option would be a good lark! Buy a heap of bends, cut them up and weld them together, it’s easy. Seriously though make sure the cuts are straight, use masking tape to tape the pipes together to mock them up, then cut little holes in the tape on either side of the join to allow a tack weld. Once you have them tacked together move on to welding them all up. It’s a very rewarding project. Tenrocca, LoBelly, Rob. Smith and 2 others like this. What Gav said. Thats how I did it. So how do you go about trying to maintain even a modicum of equal length between the individual header pipes? Depends on what engine you are tuning for. If you want your torque peak at 7500 and hp peak at 9500, then equal lengths become more critical, and the lengths need to calculated accordingly. But for the most of us, if the fronts end up a little longer, and the rears end up a little shorter than a "calculated" torque peak of say 5000 rpm, the peak will be a little less, but the curve will be flatter. So some more at the bottom end, and a little more at the top. One of my cars lost top end, when going from tri-Ys to equal 4 into 1s, both sets 1 3/4 inch primary pipe. Last edited by Gaz64; 12-04-2018 at 03:38 PM.. 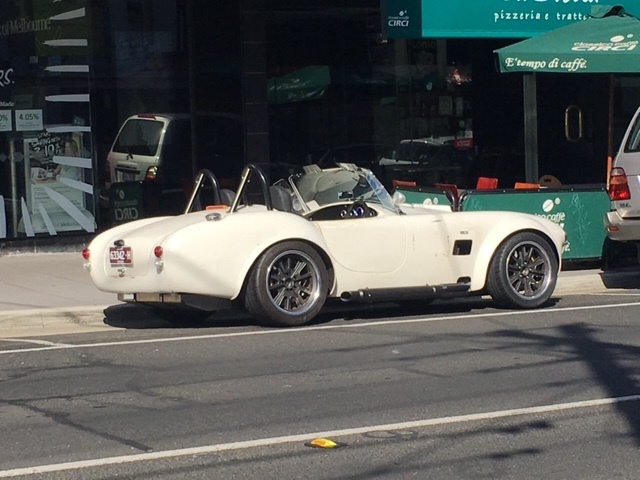 In a Cobra application, typically we have completely separate exhausts for the right bank (cylinders numbers 1-2-3-4) and the left bank (cylinder numbers 5-6-7-8) with no X-connector between them. So looking back at the firing order for one complete cycle, there are cylinder numbers 1-space-4-2-space-3-space-space exiting right, and numbers space-5-space-space-6-space-7-8 exiting on the left. If we’re looking for equal length individual pipes to the collector and we have no connection between the two sides, wouldn’t that then be a pointless exercise? 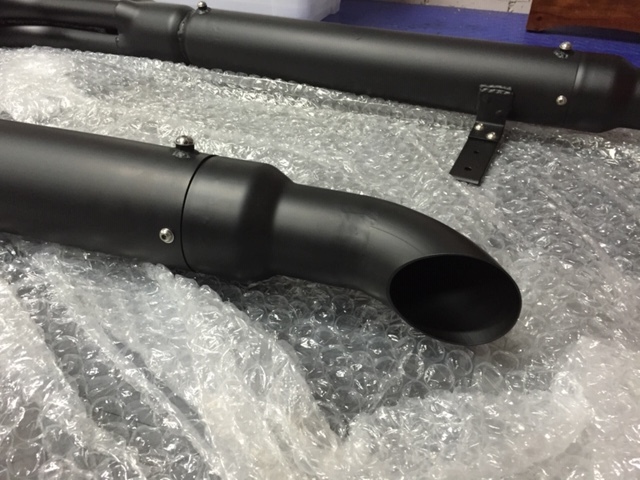 If the application is a GT40 replica, then we have a proper crossover system that correctly phases the individual pulses to achieve efficient scavenging of exhaust gas. Rob. Smith and Cokey like this. Rob. Smith and Gaz64 like this. In practice, its going to make absolutely stuff all difference if you have some a couple of inches longer or shorter. 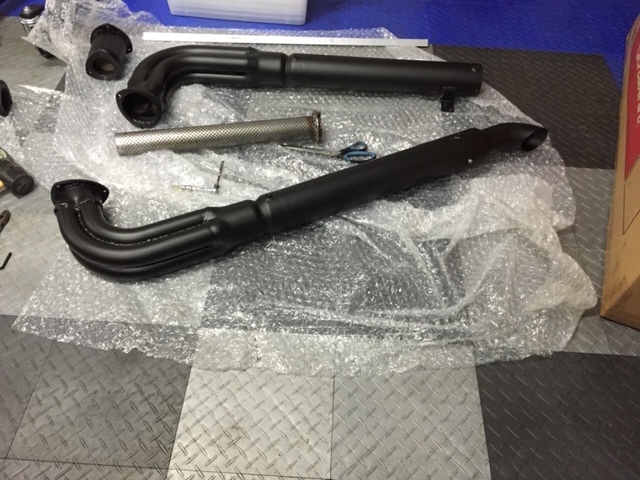 Summit racing sell a "kit" of plastic pipes that clip together to make a header system. I just went the test - cut - and test way. 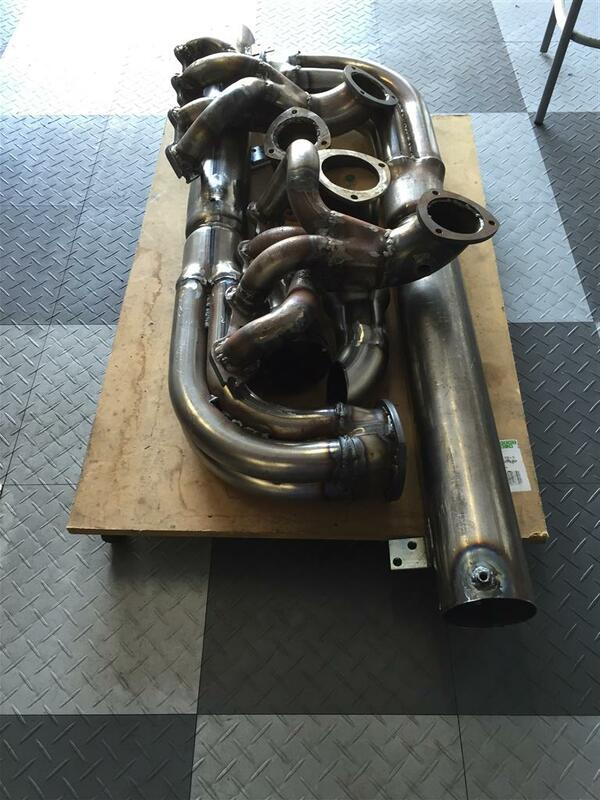 Maybe I just start by focusing on stainless welding for a replacement set of dummy side pipes. Given I need to have my bits with me at TAFE I can't jump between welder and car for quick checks for the headers. The plan post course and with advice from here and the TAFE will be which TIG machine I go and buy for me to continue my welding adventures. Wasn't sure how critical even length pipes to each side needed to be, but it doesn't appear that important in my level of use from the commentary and actual creation of headers you guys have made. Plus I've just realised that with the course in March I'm not about dismantle the car around the planned Alpine run weekend. 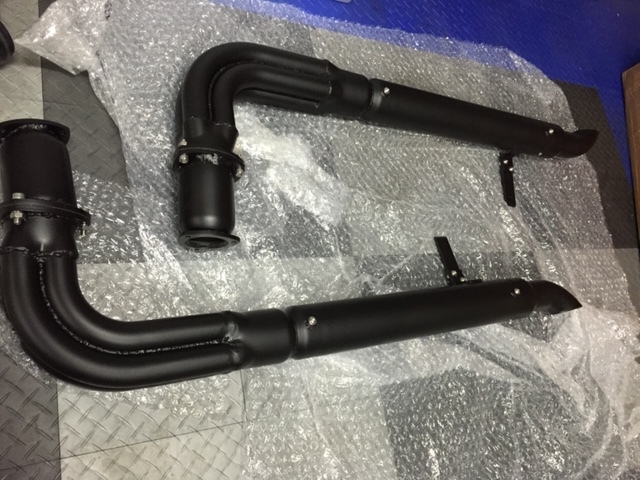 So research on side pipe parts, where can people point me at? this mob have every single bit and bod you can imagine, including several in stainless which you will seriously struggle to find locally (like 4-into-1). Be prepared to pay a lot for freight. I built my set from scratch. A couple suggestions, bolt up the sidepipes to exactly how you want them to look then build headers. Also, with the headers, don't build the pipes so close to each other that you cant get a mig/tig between pipes to weld a good bead. This kit would be pricey for a individual, or single use but they work very well for exhaust design. Try Muzza on this site. I have some off him and they are beautiful. Have the spark plugs in and the leads handy when you start to. Didn't see your post in Dec, Steve so this response is a bit stale. Modena. did you get the cats from SPD?